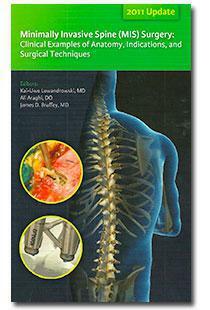 Minimally Invasive Spine Surgery: Clinical Examples of Anatomy, Indications, and Surgical Techniques, © Center for Advanced Spinal Surgery of Southern Arizona, used with permission. 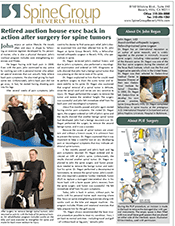 Click here to read about John's successful recovery from complex spine surgery to remove spinal tumors performed by Dr. John Regan. PDF Document, a new window will open. 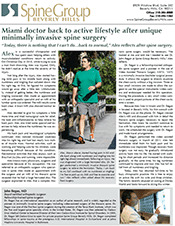 Click here to read about Alex's successful recovery from complex spine surgery performed by Dr. John Regan. PDF Document, a new window will open. 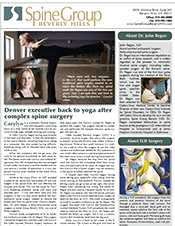 Click here to read about Carylyn's successful recovery from complex spine surgery performed by Dr. John Regan. PDF Document, a new window will open. 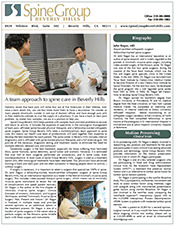 Patrick - Harvard graduate & MBA back to life with surgery. 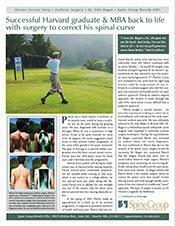 Click here to read about Patrick's return to activity after having surgery to correct his spinal curve.